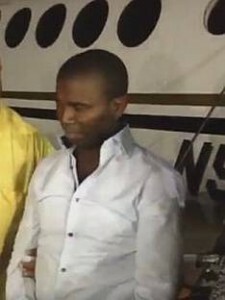 PORT AU PRINCE - Doubt has been raised in Haiti over the legality of the extradition of elected senator Guy Philippe on January 5, with many referring to the agreement signed on October 17, 1997 between US Secretary of State Madeleine Albright and President René Préval, which would have served as a legal basis for the extradition. However, none of the articles in that agreement makes mention of extradition, even when interpreting it in the broad sense, HaitiLibre reported. There is an extradition treaty between Haiti and the United States, but it is dated August 9, 1904, and article 4 stipulates that "None of the contracting parties will be bound to deliver its own citizens." Article 41: "No person of Haitian nationality may be deported or forced to leave the national territory for any reason whatsoever. No one may be deprived for political reasons of his legal capacity and nationality." Article 42: "No citizen, civilian or military may be distracted from the judges whom the constitution and the laws assign to him." This means, in light of the constitution, that the actions of Drug Enforcement Administration (DEA) agents on Haitian soil in collaboration with the Brigade for the Fight against Narcotic Drugs (BLTS) may have been unconstitutional. Moreover, the Haitian laws of August 1912, June and February 2001, dealing with extradition, specify the procedures to be followed, including the participation of the ministry of justice, the public prosecutor's office, the investigating judge until the acceptance or refusal of the extradition sought. In this instance, Danton Léger, the chief prosecutor, said he had not been kept informed of Philippe’s arrest and was surprised that he had not been transferred to the public prosecutor's office after his arrest. Finally, at the international level the fact that Haitian law does not authorize the extradition of its citizens is well known. The 2003-2004 and 2005-2006 Reports of the Inter-American Drug Abuse Control Commission (CICAD) of the Organization of American States (OAS) noted that "The Constitution of the Republic of Haiti prohibits Extradition of Haitian citizens" and "Haitian law does not authorize the extradition of Haitian citizens." The question that now arises is on what legal basis Phlippe was handed over to the Americans. So far, neither the de facto president, nor the prime minister, nor the minister of justice nor the police authorities, not even the American authorities, have given satisfactory explanations on this increasingly opaque case, which has generated more questions than answers.